We are so happy to be back on our blog! We sure missed our readers. Due to website construction, which took a lot longer than anticipated, we were unable to post fresh content. We are back and better than ever with a month long feature of a breathtaking destination wedding that took place at the incredible Bacara Resort & Spa in Santa Barbara. 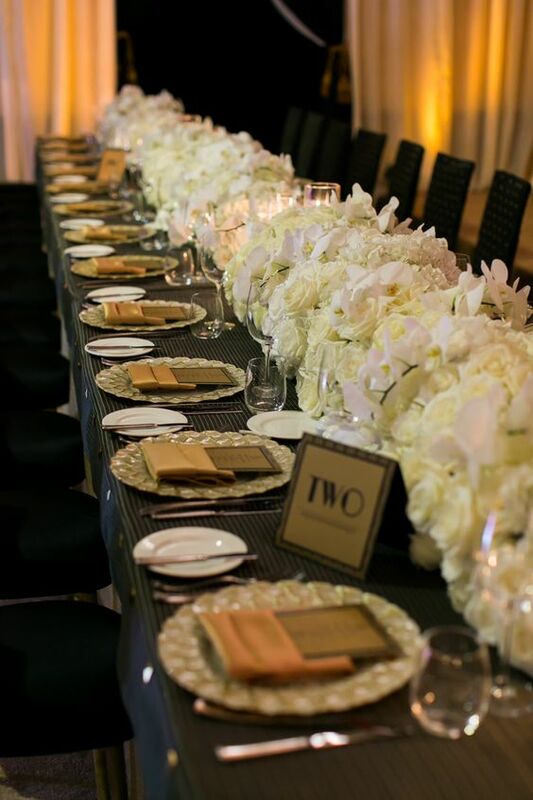 This wedding happened to be one of our favorite clients whose daughter's weddings were also planned by us and we have developed a very close relationship with them over the years. Needless to say these were multiple back to back events with intense planning that started six months prior. 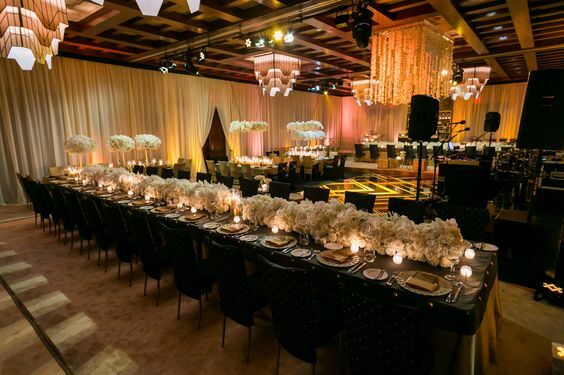 All the locations at the Bacara were chosen after giving a lot of consideration to the vibe, theme and decor elements as well as color palette for each event. First to kick off the weekend festivities was a mehndi/welcome dinner that took place on the Thursday night. Guests checked in at leisure throughout the day and were welcomed graciously by the staff. Many had time to use the spa or treatments to get ready for the evening. 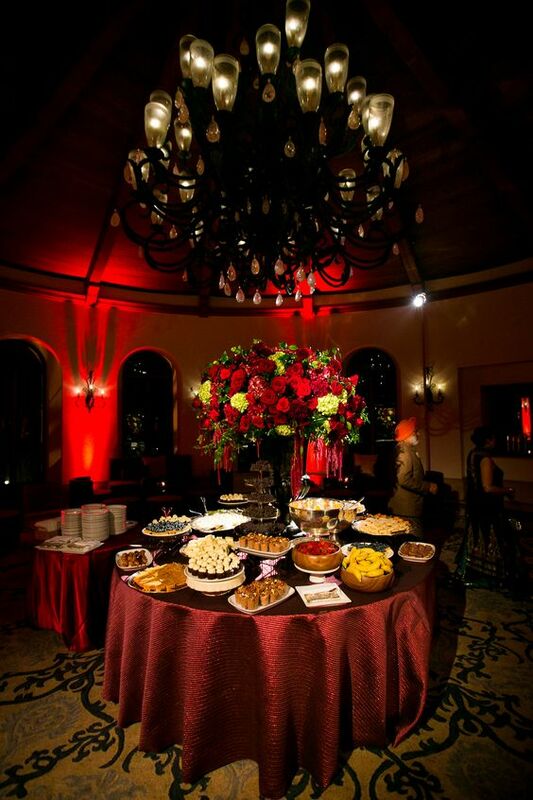 For this event, the space chosen was Director's Lounge which is a lovely space and is circular. We had decided on coral, peach and hint of butter cup yellow. The room was draped in soft peach with coral valance. 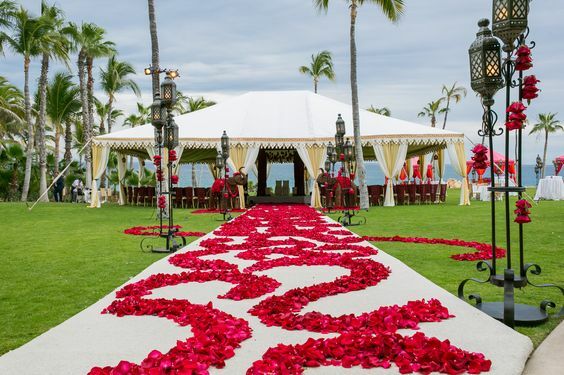 A round dance floor in coral complimented the decor. 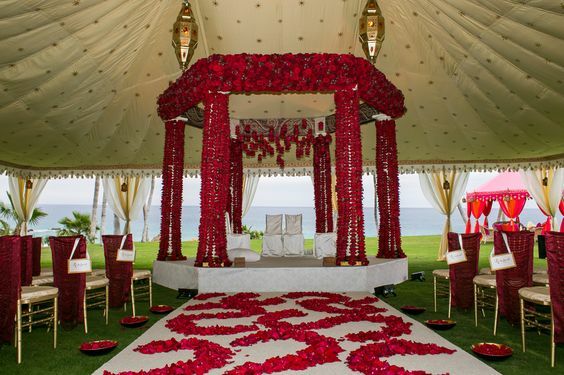 A stage was built for musicians that had been flown from India for this very special occasion. Another stage was dedicated to bride for her henna application. 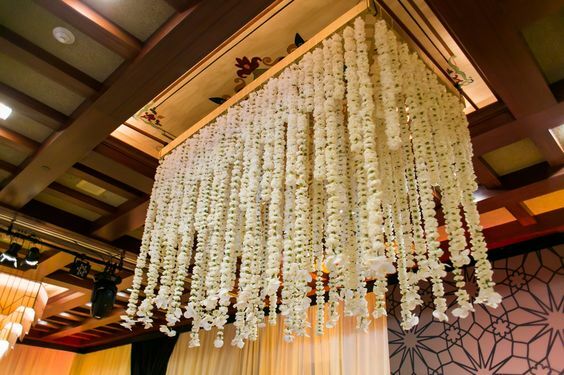 Backdrop was ethereal and traditional with marigold garlands dripping down. 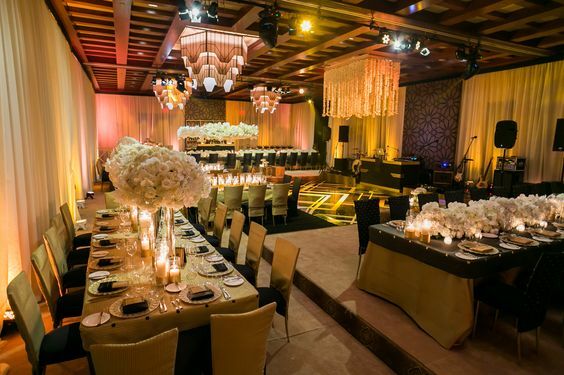 The alcove above the dance floor was also dripping with flowers. The room was filled with Moroccan lounge furniture and when it got dark, the space looked magical with coral and amber lighting. 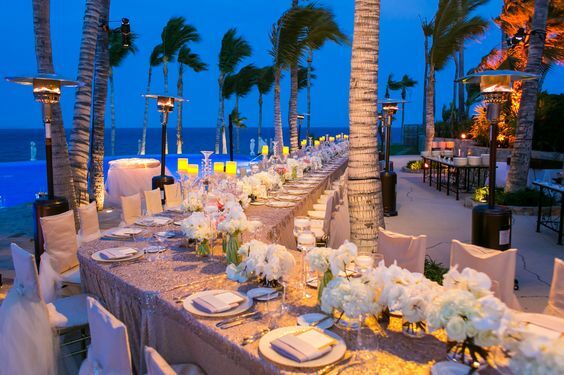 Outside in the foyer was a dedicated area for guests to get their mehndi and the Terrace was used for buffet dinner, scotch tasting and bar where the same coral color vibe was evident. As guests arrived they were served specialty drinks and ladies got busy with the mehndi. The incredible musicians and dancers from India welcomed the bride amidst sound of drum and she with her family and friends was escorted to the stage. 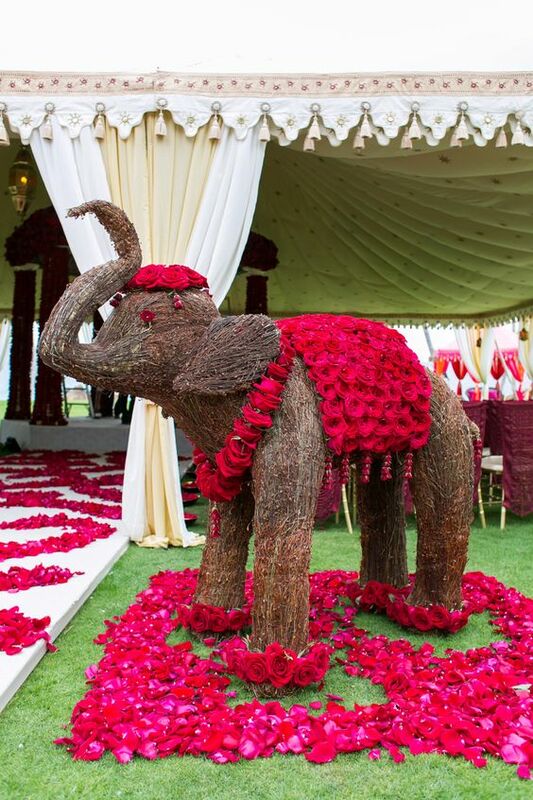 Ladies from the groom's family then came in a form of procession with pomp and circumstance carrying beautifully decorated trays of nuts, sweets, floral jewelry, mehndi and bride's clothes and jewelry. At this time beautiful traditions that were close to groom's family took place and after that was all party with a lot of dancing, music and fun. Scotch tasting was a huge hit along with special Rajasthani food that groom's mother pain stakingly decided with the caterer and the ambiance that was created by Rajasthani singers and dancers in their ethnic attire was unparalleled. The first evening was a roaring success and lasted till much later than expected.